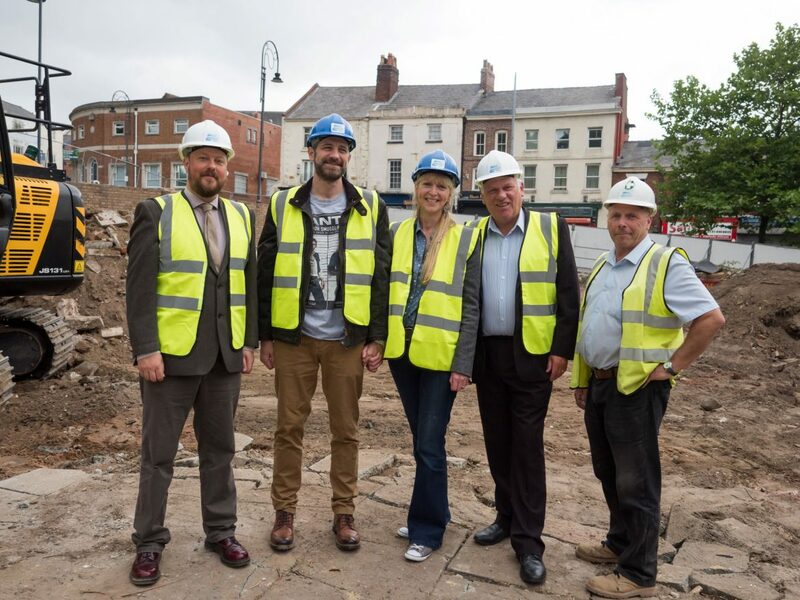 Armitage Construction has started work on the new MATE Creative Bistro and Piazza at Market Place in Prescot. 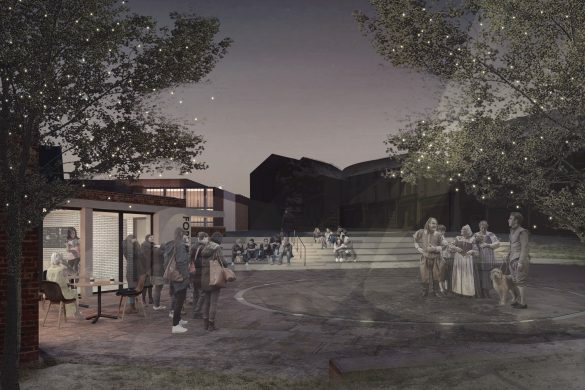 Gaynor La Rocca and her husband Francesco will run the new premises and outdoor performance space at Market Place as part of the £600,000 transformation through the Prescot Townscape Heritage Initiative, which is funded by Knowsley Council and Heritage Lottery Fund. 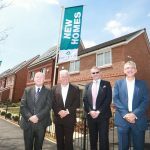 The new venture was identified by Knowsley Council through a process which asked for proposals from interested community groups or companies who could offer a high quality food and drink provision within the new building whilst bringing the area to life with community activities and events. 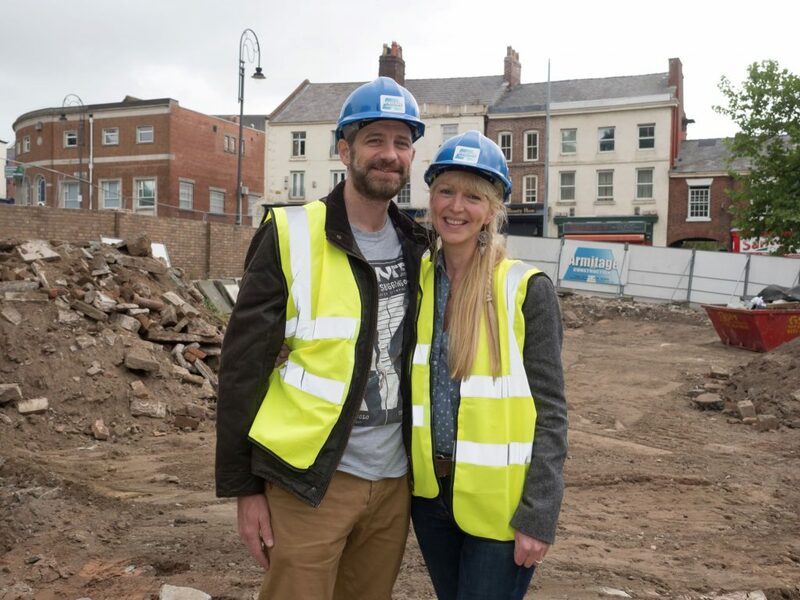 The duo will run their new venture with at a peppercorn rent from the council in return for a wide range of events including comedy, poetry and film nights, an open-air cinema, and pop-up performances and have started fundraising for their MATE story tent – a special place to host events and performances at Market Place – whatever the weather! They have already received donations from local businesses. The couple bring extensive creative experience and a family history in the restaurant business. 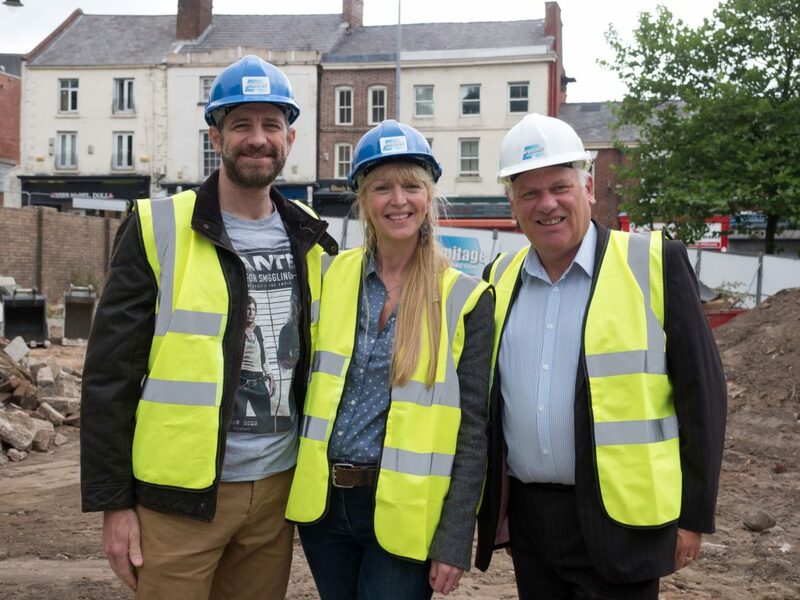 Gaynor is Artistic Director at Prescot based MATE Productions and Francesco, a property lawyer with Weightmans LLP, is also an actor with MATE Productions with a huge passion for food. The completed building and piazza are set to open in January 2019. 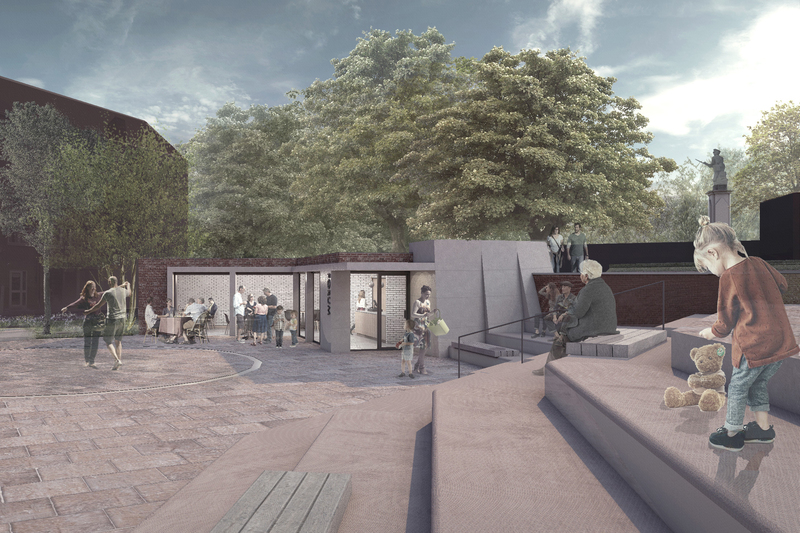 Mark Wray Architects and Seed Landscape Design have redesigned Market Place as part of a global RIBA design competition that saw over 40 different designs put forward for Market Place. 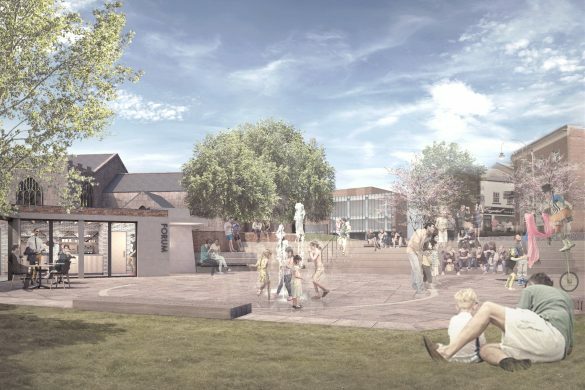 Market Place is the final public realm development and the biggest single project of the Prescot Townscape Heritage Initiative, which has to date also repaired and restored 14 historic buildings in the town centre. 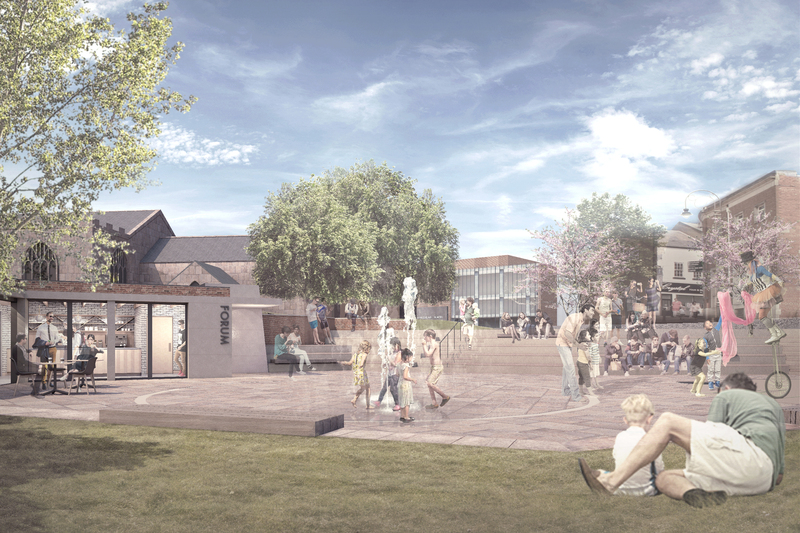 Read more about the history of Market Place on the THI blog.